Inexpensive Christmas gifts for the chicken lover who has everything. So you've got a friend who loves chickens but as far as you can see they have every single chicken thing that's ever been made? Or maybe the crazy chicken person is you, and you're looking for that special gift to treat yourself or put on your wish-list. Here are some inexpensive gifts with a Christmas twist which anyone who's mad about chickens will adore. How do I know? Because I am one of those people - and I have (and love!) them all! 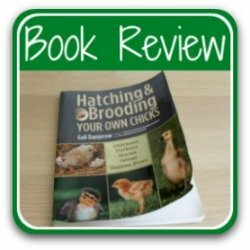 Just click on any of the links or pictures to see my review and discover how you can buy the ideal gift for the chicken-lover in your life! I've put this at the number one spot because I absolutely, totally, unreservedly, adore it. 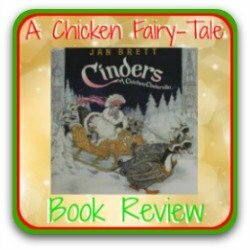 It's the lovely fairy-story of Cinderella, with one extra-special twist - all the characters are chickens! It's very inexpensive considering the quality - a beautiful book with the most stunning illustrations. It's the kind of gift you'll want to inscribe, and which the person receiving it will want to keep forever. And if you love Silkie chickens you'll especially love this. Why? Go on over to the review to find out! An extraordinary calendar for extraordinary backyard chicken lovers! Another of my all-time favourites. I buy this calendar every year for myself and some to give as Christmas gifts. It's one of those practical, inexpensive presents that keeps on giving! It's got lots of features you want from a calendar - reminders about holidays and so on - but its best feature is the amazing pictures of so many different breeds of chicken. Some you'll have heard of, others you won't. I mean - doesn't even the cover image make you want to smile?! Click here or on the pic to see more details and a complete calendar review. Christmas tree ornaments with a chicken theme. I don't know about you, but I love a bit of sparkle at Christmas time - and if it's got a chicken theme going on, so much the better! 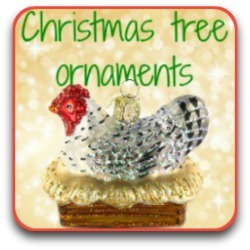 On this page you'll find a variety of chicken ornaments. Some I've got, some I haven't - but they're all from a similar tradition of good quality, glass ornaments. They make a wonderful heirloom gift for anyone who loves chickens. 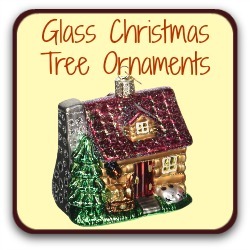 "Old World" glass Christmas tree ornaments. If you love traditional glass Christmas ornaments but you want a break from the chicken theme, here are some made in the traditional style and hand-painted. Some feature chickens, some don't. I've included them just because they look so beautiful on a Christmas tree. I can never resist buying at least one to add to my collection each year - and you won't either! Great for you, great as an heirloom to give away as a Christmas gift, especially for the younger generation still building their Christmas collection. So you have everything chicken you could possibly want. Or you have a chicken-crazy friend who does. And now you need to find her a gift for that special occasion. Or for your own wish-list. 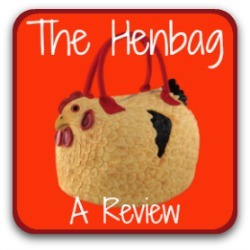 Introducing the Henbag, for the crazy chicken lady who has everything! It's fun, it's a conversation piece, it will make people smile wherever you take it! It's durable, light and easy to carry. And it just loves going on road trips! Take your Henbag with you wherever you go. It will brighten up your life. Or your friend's. Find out more in my comprehensive review. 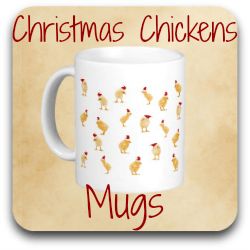 Inexpensive Christmas mugs with a chicken theme. So you're desperately trying to think of an unique gift to give to the chicken-lover who has everything? You've just found it! I designed this selection of chicken-themed ceramic mugs, so it's completely individual. Choose from different colours, sizes and types of mugs, all of them excellent quality and with a guarantee of your money back if you're not completely satisfied. All the images are exclusive and the best thing is you can add your own words, if you want to, to make it a truly thoughtful, individual gift. An unique, useful Christmas gift: the Egg Skelter. A lovely gift at any time of year, but if you're needing a special bit of inspiration for an unusual Christmas thought, you may just have found it. Only just available in America, it's not one of the most inexpensive of my Christmas gifts but it is so well made it's worth the price. It makes for a great talking point if you're stuck for conversation over Christmas dinner, too! 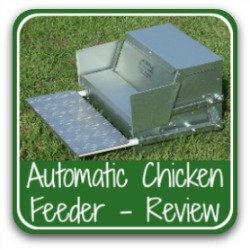 Looking for a gift for the serious backyard chicken-keeper? 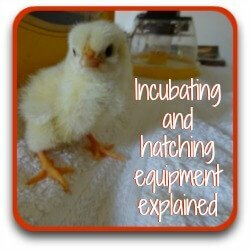 How about some amazing hatching equipment? Sooner or later, everyone who starts out keeping backyard chickens wants to incubate and hatch. It's just a fact of chicken-keeping life. For anyone just starting out, it's hard to know what equipment you need and which is the best buy. 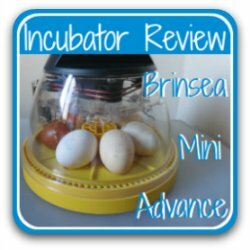 This article explains everything there is to know about what you'll need: incubators, candlers, brooders, heat lamps and the best instructional books. If you're looking for a more substantial gift for someone's special day, you'll get some great ideas here. Other must-haves for the serious chicken-holic! Any chicken keeper would be glad of these gifts. Click the buttons to read my reviews.